Displays the lowest price of the product (declinations and quantity discounts include). You want to highlight the best (and expensive) declination of the product and show the lowest price? You want show the lowest price of the product (included quantity discounts)? Nothing is easier with "Price from". 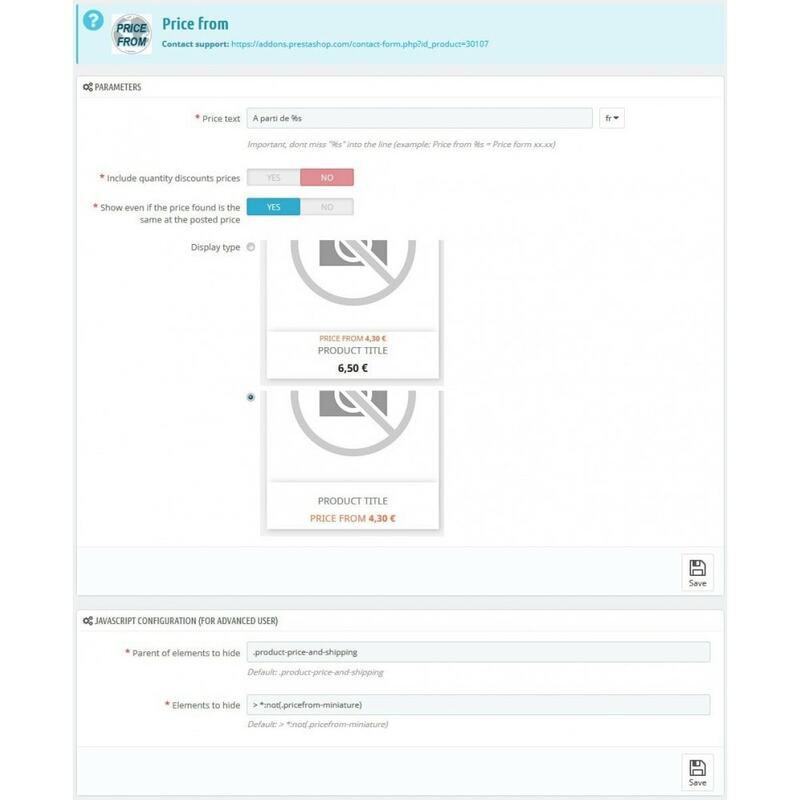 - Displays the lowest price in the product blocks and in the product detail if the declinations have different prices. 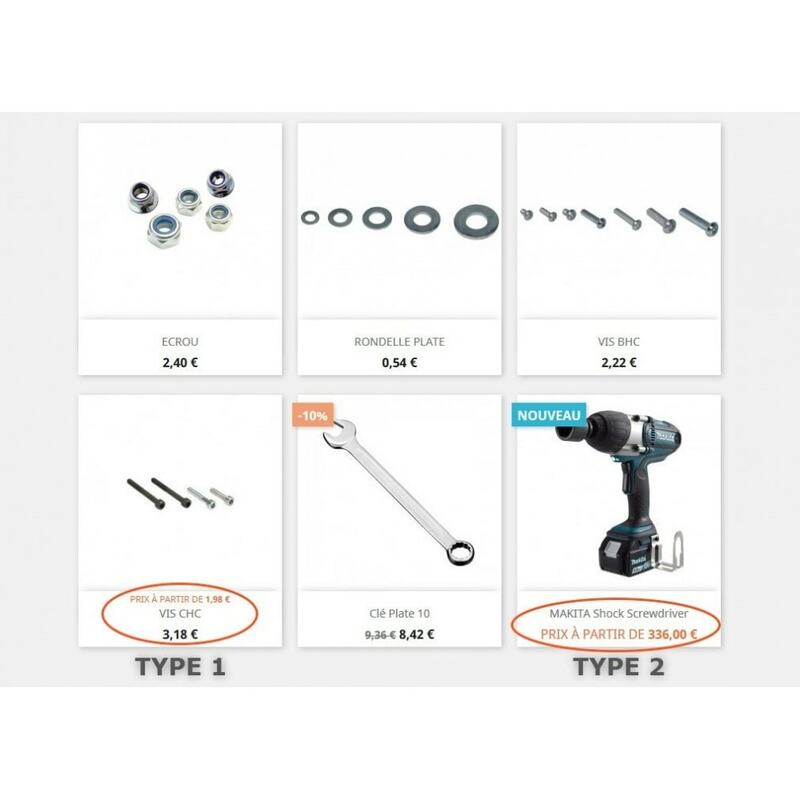 With "Spare Parts", set up a real spare parts on your shop. 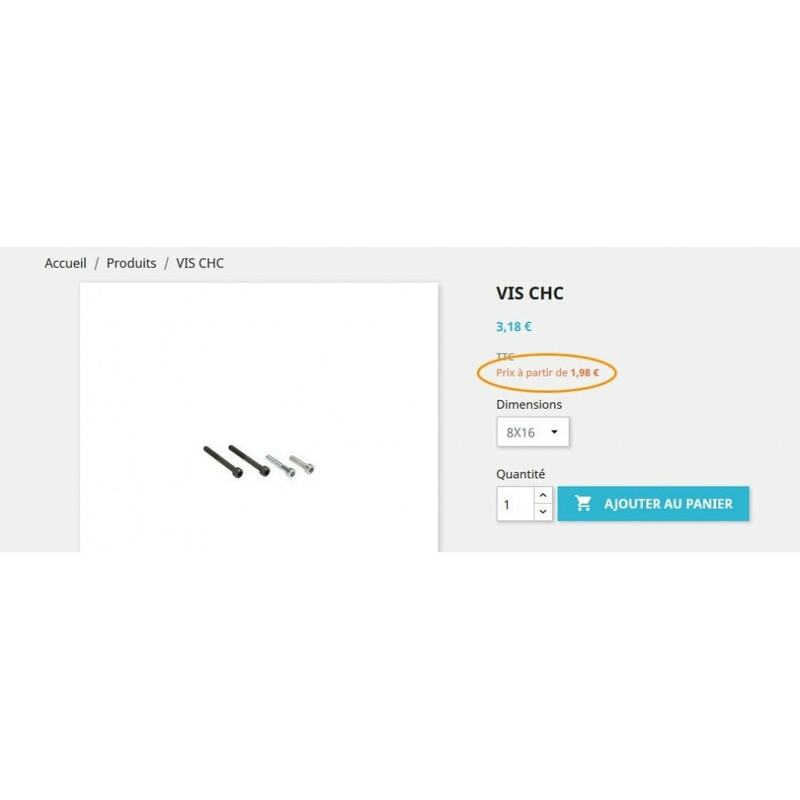 With "Fill cart quick", your customers can make quickly a shopping cart of many products from a fully automated form. They will be able to search for their products by reference and by title with a semi-automatic search.